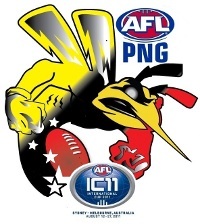 With now just a matter of weeks to the start of the 2011 fourth instalment of the AFL International Cup, the build-up begins in earnest. Our previews commence with the reigning champions. The 2008 winners and three time finalists are Papua New Guinea. After finishing runners up to Ireland in 2002, and then to New Zealand in 2005, finally a young new generation of talent took the title in 2008, with some help from a few stalwarts. Their fleet footed players were supplemented by a few slightly taller finds that could take a mark and in a pulsating come from behind win they knocked over the Kiwis in the 2008 Grand Final at the MCG. Some of the names have become reasonably familiar to followers of international footy. Whilst providing a fitting finale to the international career of veteran Overa Gibson, the 2008 tournament also launched at senior level players such as Stanis Susuve, John James, Emas Wartova, Donald Barry and Amua Pirika. PNG is on an upward curve that is hard to match, and many of those stars return. But the Mozzies will not quite be at full strength so back-to-back Cups may not be the formality one might expect. This slogan was the PNG hallmark in 2008, which recognised that Papua New Guineans have a natural freedom of spirit and that their style of play reflects this. To see the team in full flight is to watch a chaotic and frentic attack on the ball. The footy flies in all directions and harnessing that enthusiasm and directing it constructively to the forwards will be the job of David Lake, coach of Mt Gravatt in the North East Australian Football League (NEAFL). PNG is Australia’s closest neighbour and has a forty year history in our game. 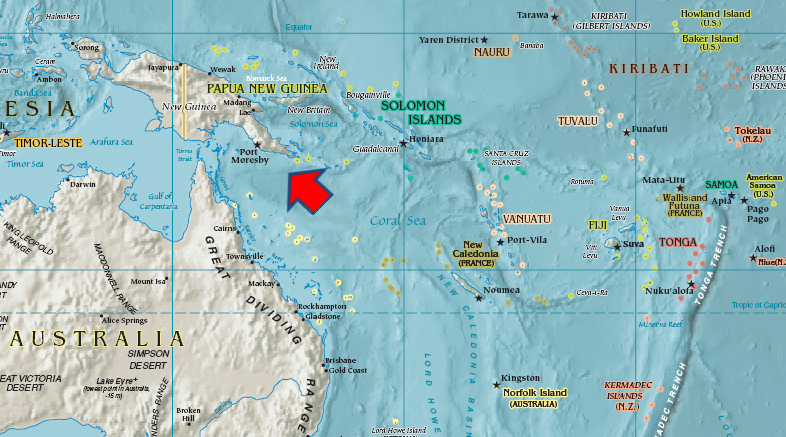 Previously administrated by Australia and Great Britain, the country has a complicated past with occupation by various nations in times of war and was once separately Papua and New Guinea. Independence was achieved in 1975 but close ties to Australia remain. With a population of nearly 7 million people and growing fast, it is a country that has its challenges but perhaps like South Africa, Australian Rules is a sport that really has the ability to change people’s lives. In the past we've reported on various programs that have been run linking sport and healthy life choices. In purely football terms, PNG's best players now get fast tracked through the Queensland junior system. A recent step up in developing the game has been the formation of an AFL Academy at the De La Salle school in Port Moresby, PNG's capital. Their greatest strength is speed and depth. With thousands of kids playing the game and the cream of the crop channelled through the Academy and AFL Queensland the selectors have more riches to choose from than any other nation at IC11. And although often small, the players are made of tough stuff and their hardness at the ball can be ferocious. It seems likely that once again the squad will lack height, in fact the initial squad list does not show heights - simply not listed or a tactical ploy? Although they have many talented smalls, Australian football has consistently shown the need for key position strength as well. However, some of the taller players PNG do have are now hardened by several years in Australian leagues at a high standard. Some of those will have been playing as mid-sized half forwards and backs, so will need to step up to be key position players such as centre half back and centre half forward. But first, who not to watch. Two of the nations best exports are Donald Barry and David Meli. Donald Barry was a key player in the Mozzies' Grand Final win in 2008. He was picked up by Brisbane and remains on the Lions ‘list’ and has played 12 games this year in the new NEAFL competition for the Lions reserves side, making the published best player votes a couple of times. In theory he may well be worth 2 or 3 goals to PNG but he is unavailable for IC11. We'll increasingly see such unavailability as players focus on professional careers. It’s also notable that Essendon’s international scholarship player David Meli is not in the squad. Meli, interestingly, having played 3 games as ‘23rd man’ for the Bendigo Bombers this year, was cutting up the field in the Essendon District Footy league for Aberfeldie, and as was reported about a week back, he’s been signed up now by the Coburg Tigers in the VFL. In another setback in terms of PNG delivering its first home grown AFL star, Carlton international scholarship player Peter Labi (who does make the squad) was cleared back to AFL Queensland earlier this year and played a handful of games at Mt.Gravatt seniors back in May, more recently in the Mt.Gravatt reserves. So although a step down from his AFL dream, Labi should be a key player. Others to have featured in the NEAFL this year include Emmanuel Tupia (at Redland, alongside former AFL player Travis Johnstone), meanwhile John James and Amua Pirika have been playing alongside former Lions Albert Proud and Sean Yoshiura at Mt.Gravatt this year in the NEAFL. Among others, Stanis Susuve obviously was involved in the Gold Coast system for a couple of years and Emmaus Wartovo has played good footy in the AFLQ. Some of the next generation includes Richmond Scholarship player Gideon Simon and others who have appeared regularly in the recent efforts of PNG under age rep sides such as Major Alphonse and Slim Collins. Undefeated at the 2008 Cup, the senior Mosquitoes have not played as a group since then. However the Academy in Port Moresby and regular junior squad matches means most of the players will be quite familiar with each other. Since 2008 most of their players have had expert tuition at their Academy or have been playing in Australia, so it seems reasonable to predict their team will be several goals better than last Cup, even given the loss of a couple of important players. They are ranked number two (behind Australia) in the World Footy News rankings. In this author’s opinion they must start IC11 as hot favourites, but will still need to perform close to their best to win. I wouldn't be so sure about that, at this point I'd say it's a 3-horse race for gold between PNG/NZ/Ireland. If as reported previously the Irish are bringing half a squad from Ireland and sourcing the other half from Irish expats playing club footy in Australia, then they could be very strong. Hopefully we'll have the full Irish squad for publication very soon! I would expect PNG to win with the amount of talent they have available. I think they would knock over New Zealand in a tight grand final. Like Aaron suggests, we're starting to get some noises about Ireland being very strong. And South Africa have been keeping very quiet - is there a lack of progress or will we all get a surprise. Remember their huge rise between IC05 and IC08 - did that suddenly come to a halt or will they challenge for top 2?